A number of the games here were originally published by Acornsoft but their authors took the games to Topologika when Acornsoft decided not to publish adventure games and converted them for other computers. This company is still present (1 South Harbour, Harbour Village, PENRYN, Cornwall TR10 8LR, +44 01326 377771). They are still in business (2001), doing educational software. Underlying system design: David Seal and Jon Thackray. 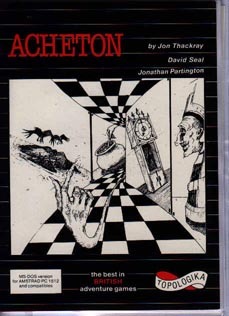 Implementation for Acorn RISC OS, BBC, Electron and Master: David Seal and Jon Thackray. Implementation for Amstrad, PC and Spectrum: Richard Clayton (Locomotive Software Limited). Implementation for Atari: David Turner. 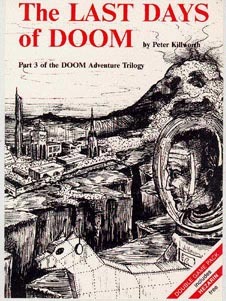 Written 1987 by Peter Killworth. Notes: Expanded by about 50% when republished by Topologika. On-line hint system (actually used in conjunction with a paper sheet of numbered questions - answers are accessed via the game itself). Type: Text only Written 1988 by Peter Killworth. Notes: On-line hint system (actually used in conjunction with a paper sheet of numbered questions - answers are accessed via the game itself). The planet Doomawangara (*Doom for short*) is a dangerous place. 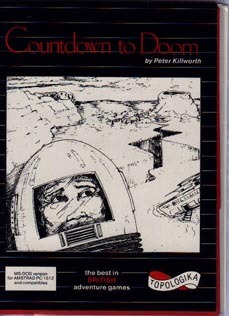 As the only explorer ever to survive it (*'Countdown to Doom'*) you should know! However, an unexpected distress call sends you flying back to Doom in a mission to rescue an ambassador who has been kidnapped by renegade robots. After surviving a deceptively simple beginning, you'll meet lots of original 'Killworth' puzzles: alternative universes, weird weather; an empty field will never look the same again! You'll acquire a talkative four-legged friend, who'll make you feel like laughing one minute, and crying the next - maybe even both at the same time! The game ends with a danger-a-minute sequence that would even scare Indiana Jones (half) to death. Game size: "large" and Difficulty level: "advanced." 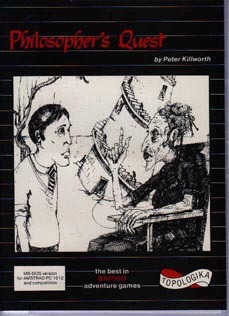 Type: Text only Written by Peter Killworth. 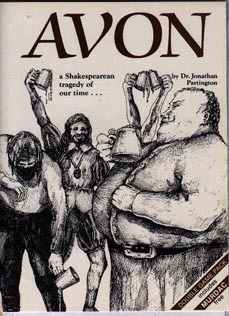 Written 1987? by Peter Killworth. Notes: On-line hint system (actually used in conjunction with a paper sheet of numbered questions - answers are accessed via the game itself). This version is larger that Acornsoft's version. 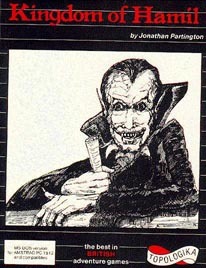 Notes: The Acornsoft version was a cutdown of the original, the Topologika version is the full thing. 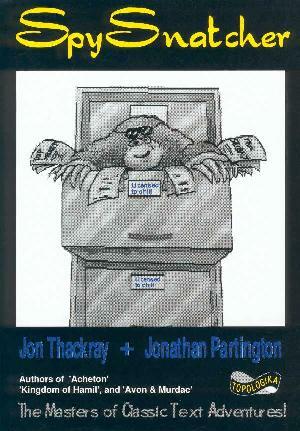 Type: Text only Written after 1985 by Jon Thackray, Jonathan Partington and Peter Killworth. Comments: Whodunnit adventure in MI7. Can you track down the mole leaking secrets to Ruritannia? Type: Text only Written about 1985 by Peter Killworth. Notes: Mathematical adventure for secondary education.